When you read the ingredients and you see both brown sugar and high fructose corn syrup before any kind of tomato or vinegar related ingredient is listed, you know you're in for a sweet sauce. 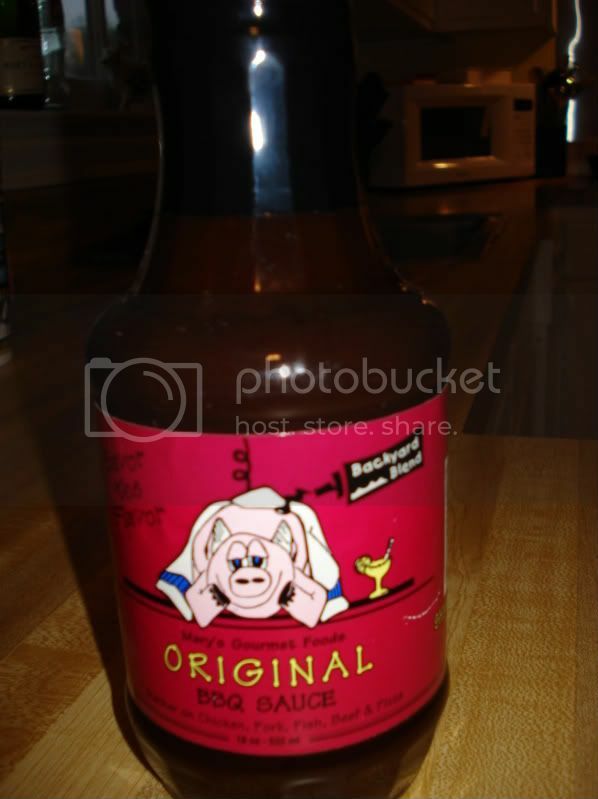 Such is the case with Mary's Gourmet Foods Original BBQ Sauce. Lord knows I like it sweet, but this is too much. It starts sweet, transitions to sweet, and finishes sweet. There's a hint of vinegar and tomato, but literally not much else. And honestly, I'm not wild about the texture of the sauce either. It's thick as thick can be. Very gloppy. If you took this stuff out of the refrigerator, it would be nearly the consistency of marshmallow fluff.